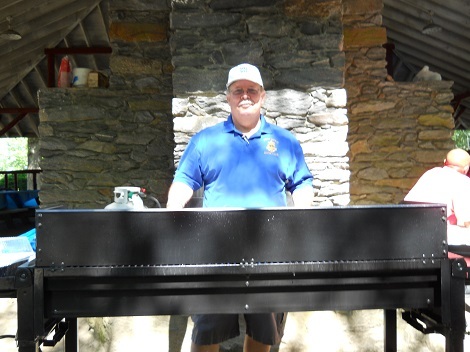 The Providence Lions Club will hold its Annual Steak Fry Fundraiser Dinner on June 25, 2016. The event is held at Goddard State Park at the Beach Picnic Shelter (across from the carousel), from 12:00 pm to 4:00 pm. Dinner Included: Salad, 14 oz. Ribeye Steak, Green Beans w/Tomato & Garlic, Potato Salad, Bread & Butter, Dessert. 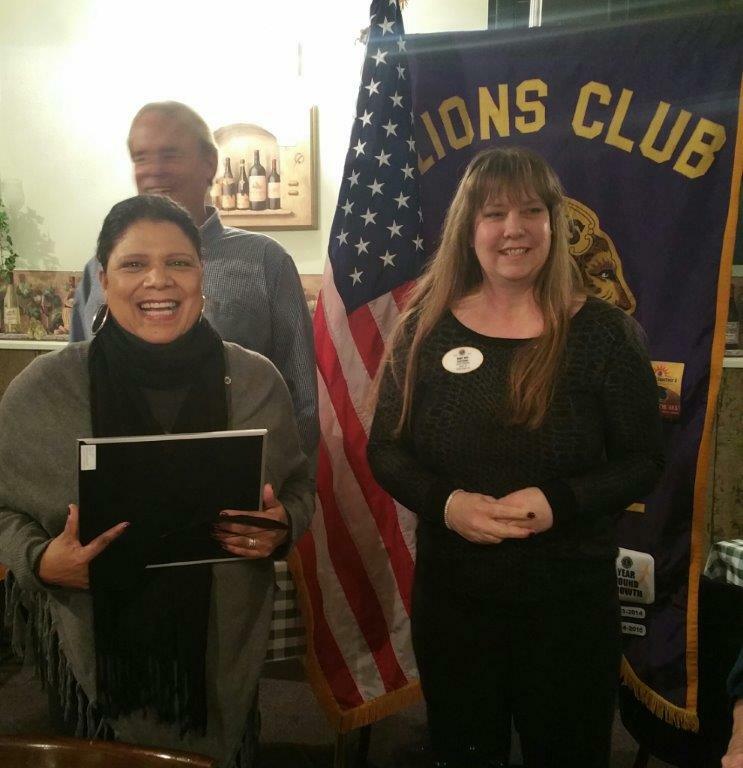 New Lion Maria Garcia was sworn in by DG Mary Ann Hutchinson on her visit. Providence Lions Club Hi Lo Jack Tournament Every 3RD Thursday of the Month Open to anyone interested in playing! Play starts at 7pm usually done by 10pm $15 entry fee - prizes depend on the number of players Sunnyside Recreation Club 16 Cleveland Street North Providence, R.I. For more information contact: David Comerford drc1955@cox.net Please pass the word!!!!! . On April 6, 2013 the Providence Lions took part in a vision screening event for sponsored by the Urban League of Rhode Island at St. Martin DePorres Senior/Multipurpose center, 160 Cranston St, Providence . The club provided eye sight screening as part of their Health Fair activies. On Saturday, November 17, 2012 The Providence Lions, delivered Thanksgiving baskets to the needy in Providence. The members collected turkeys and all the fixings for over 50 complete baskets. Last year the club delivered 58 Thanksgiving baskets and we look to build on this event in the coming years. Thank you to all who donated and volunteered to make this event successful. At the club meeting on November 28, 2012,The Providence Lions, gathered to assemble 400 candy filled Christmas stockings to be handed out to area children at Christmas parties through various community organizations. The stockings have been an ongoing event to help brighten the Holidays for underpriviledged children in the Providence area. The stocking were delivered to Rhode Island DCYF, Childrens Friends and Services, St Mary's Home for Children, McAulley House, the Elmwood Community Center and the Washington Park Community Center. 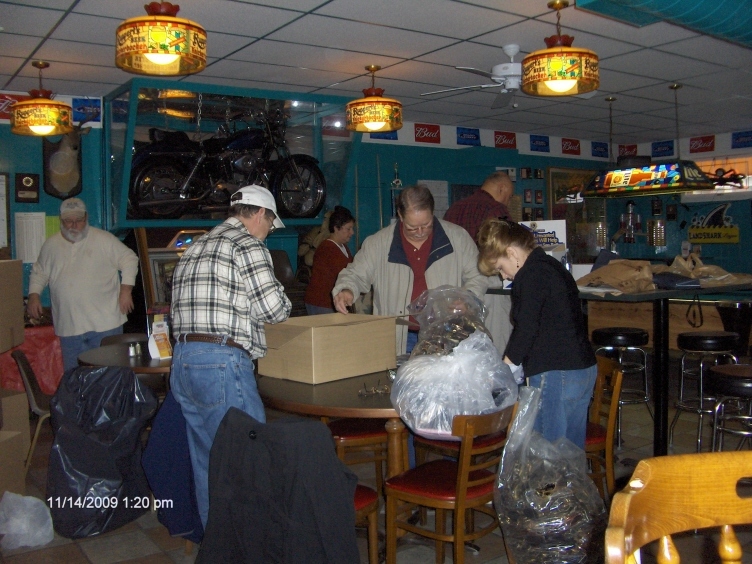 The Providence Lions Club wound up another successful eye glass recycling campaign on Wednesday, February 15th. The club collected and packaged over 1100 pair of eyeglasses and readied them for shipment to the New Jersey recycling center. .